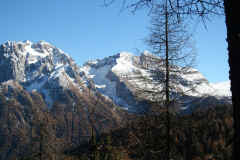 Wonderful climb on foot as an alternative to the ski-lifts to the Graffer Refuge, Grostè Pass and the Costanzi Path. 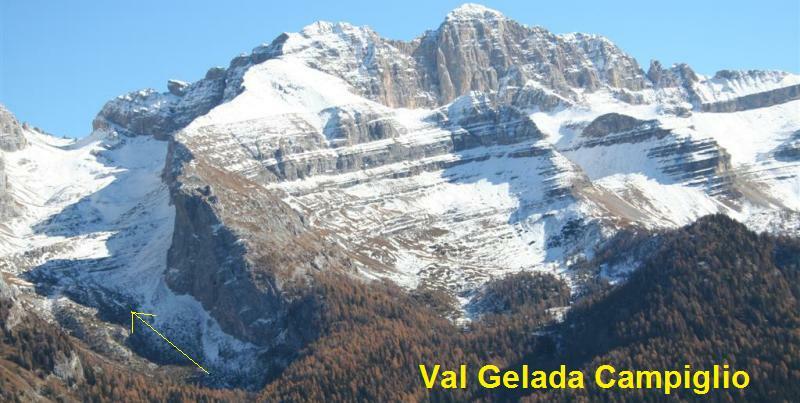 The valley offers magnificent views of the Presanella Group and the towering peaks of the northern chain of the Brenta. 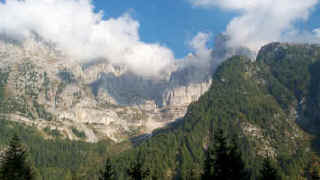 It runs from west to east between the Cima Vaglianella and Cima Vagliana peaks to the south, the Corno di Denno and Corno di Flavona peaks to the east and the Sasso Alto and Cima Mondifrà peaks to the north. 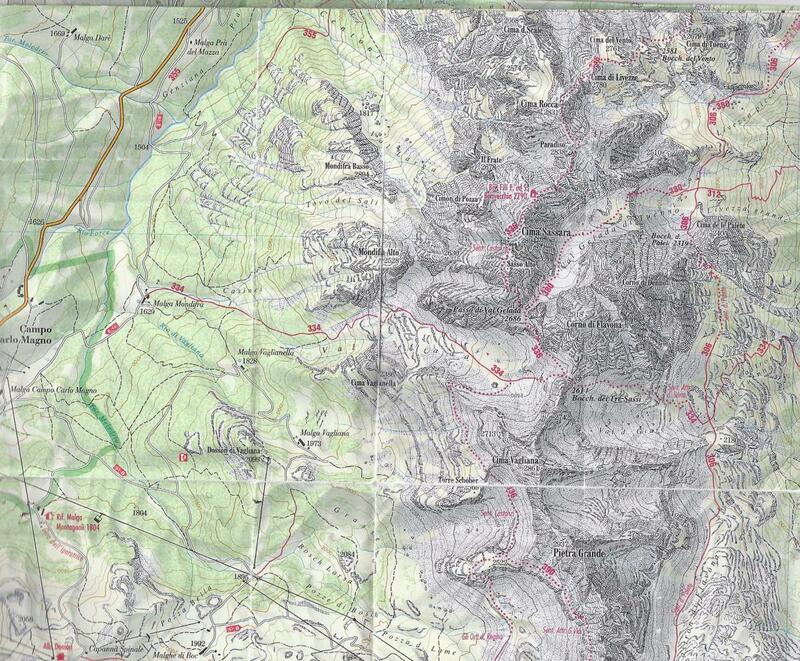 a) climb up the Gelada di Campiglio Valley and return through the “Orti della Regina”; b) across to Lake Tóvel along the Giare Valley; c) to Lake Tóvel along the Gelada di Tuenno Valley; ) to the Bonvecchio Bivouac (on the Cima Sassara peak); e) circuit from the east of the Cima Vagliana and Pietra Grande mountains. 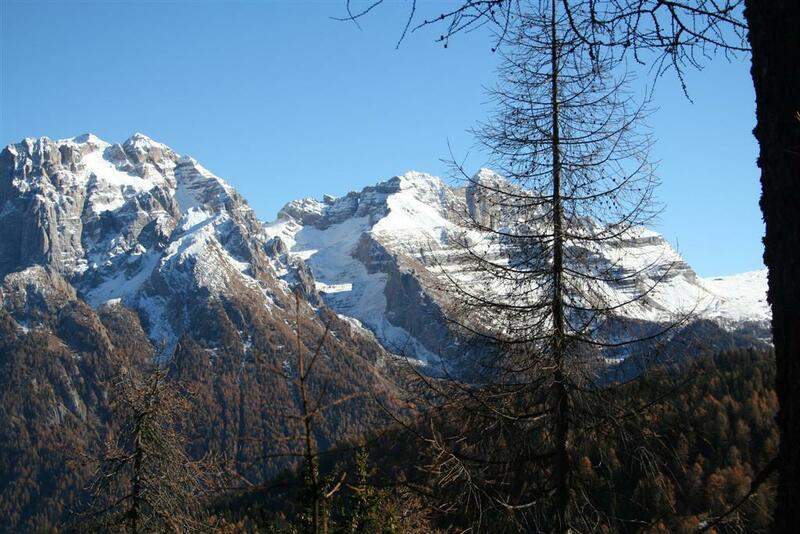 detour 334- 336 - - see down "a)"
Bocca dei Tre Sassi 2613 2,45 a) climb up the Gelada di Campiglio Valley and return through the “Orti della Regina”: paths 334 and 336, southwards; b) across to Lake Tóvel along the Giare Valley: paths 334 and 314; c) to Lake Tóvel along the Gelada di Tuenno Valley: paths 334, 336 northwards, 380, 312 and 314;) to the Bonvecchio Bivouac (on the Cima Sassara peak): paths 334 and 336 northwards; e) circuit from the east of the Cima Vagliana and Pietra Grande mountains: paths 334, 306 southwards, 301.